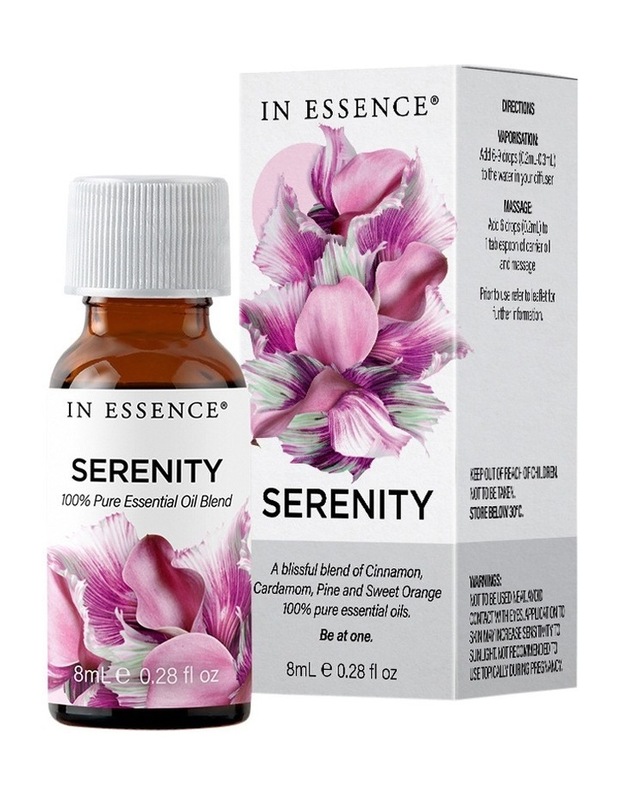 A blend of Cinnamon, Cardamom, Pine and Sweet Orange pure essential oils to welcome peace and serenity. Blended to instil a haven of tranquillity. Welcome peace and serenity with this blend of Cinnamon, Cardamom, Pine and Sweet Orange pure essential oils. Close your eyes and feel a wave of stillness wash over you. Be at one. NOT TESTED ON ANIMALS. Vaporisation: Add 6-9 drops (0.2mL-0.3mL) to the water in your diffuser. Massage: Add 6 Drops to (0.2mL) 1 tablespoon of carrier oil.